Unlike a real drummer, GarageBand's Drummer never shows up drunk for a gig. Drummer is one of GarageBand’s best features. It’s a virtual drummer that comes up with entire drum parts for your song. Or rather, it’s 15 drummers, each of whom has a different style, from hard rock to Latin rhythms, to trap and dubstep, to the hippie Finn, with his cajon and hand claps. Drummer is amazing if you play another instrument and just need a drum track to play along to, but it is also extremely powerful, and can be used to create an entire song. And best of all, none of GarageBand’s drummers will ever turn up drunk to a gig. Let’s take a quick look at the basics, and then I’ll show you some neat hidden tricks. Let’s start with a new song, and add a Drummer track. 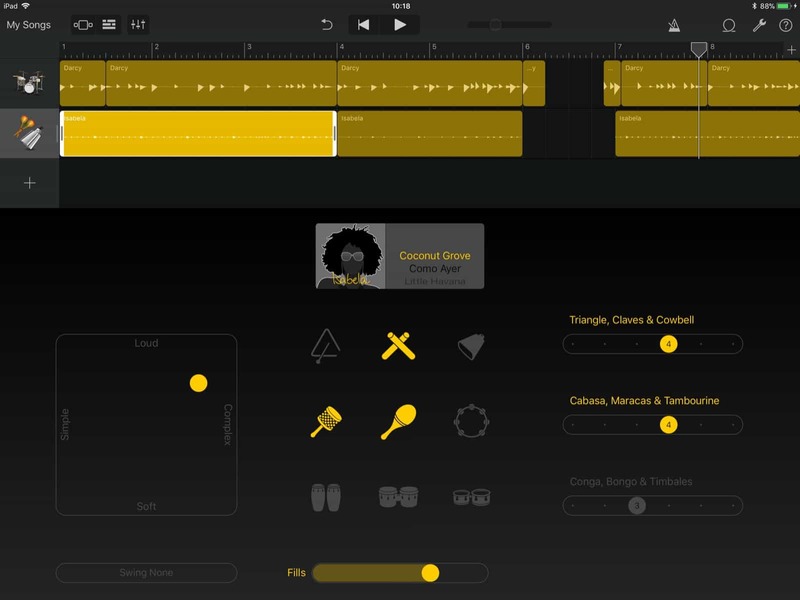 Open up GarageBand, and tap the plus sign at top right to create a new song. Then, swipe left or right until you get to the Drummer, and tap one of the options. You can change this later, at any time. I’ll choose Acoustic for now. As you can see, Drummer creates a track for you. This is totally automatic, and covers the entire song — which at this point is just 8 bars. At the top of the screen is the Drummer track. In the bottom half, you see the drummer controls. If you picked Acoustic drums like me, you will probably see Kyle, playing Half-pipe, his favorite rhythm. Kyle’s cool and all, but I’ll switch to Darcy, because I’m writing this in the morning and she’s a little mellower. These are the basic Drummer controls. Each drummer’s various base styles sit in a list alongside their name, so you can easily audition them. I’ll pick Heart to Heart from Darcy’s selection, because I like the muted rim hit. Now take a moment to explore the controls here. They’re all self-explanatory: The box on the left lets you adjust how loud the part is played, and how simple or complex it is. 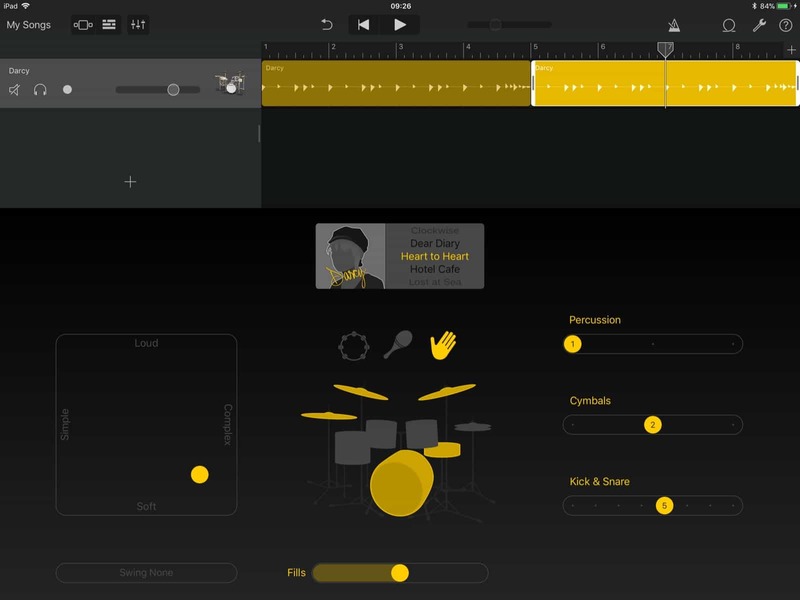 The drum kit in the center lets you toggle various drums on and off, or add some percussion. And the sliders on the right let you fine-tune the patterns of the various sections of the kit. Using these, you can make a unique drum track in seconds. Let’s start with our first tip, and that’s to create several sections. As great as GarageBand’s drummers are, listening to the same groove for three minutes is boring. For this tutorial, we’ll stick to the default eight bars, but you can lengthen the song by tapping the plus button at the far right, above the Drummer track, and setting it in the resulting popover. First, tap the Drummer to select it, and then drag the rightmost handle to shorten the part down to four bars. Then tap it again, and choose Copy from the black bubble popover. Now, move the playhead (the line that moves when you hit the play button) to the end of the first part, tap again in the blank part of the track, and tap Paste. It should look something like this. We now have two drum parts. Now, you can start sliding the controls to make this second drum part different from the first. 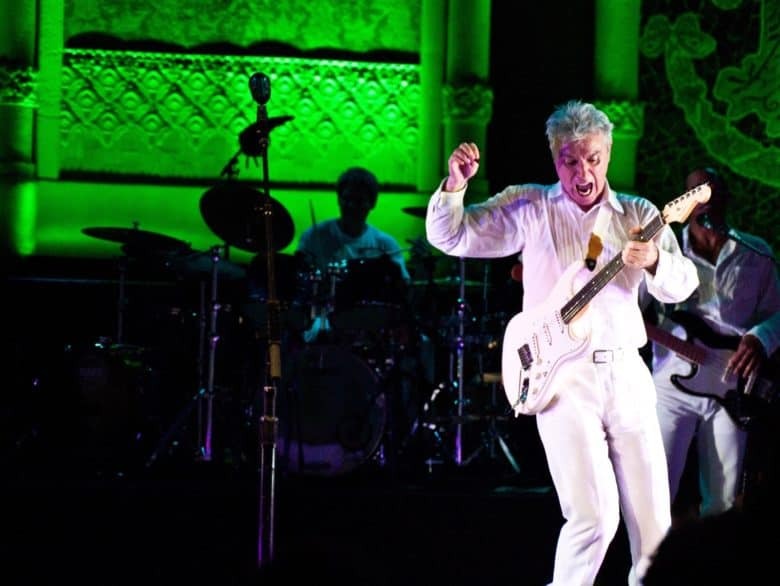 Maybe it’s more hectic, for a chorus, or perhaps you want to ease everything off for a more mellow section. I will drag the leftmost control box down to make the section simple and soft, and drag the Fills down lower, to make the section as straight and chilled as possible. Now comes the first super-tip: See the Kick & Snare slider? This doesn’t only switch up the kick and snare parts. It has two hidden settings in the last two positions — 7 and 8. Position 7 makes the Drummer play in half-time, and position 8 makes her switch to double-time. This is a great way to get a completely different feel. Try them to see how they sound. You might notice that, as you change the sections, and the sounds therein, Drummer makes lots of automatic adjustments. It makes sure that the transition between two sections is seamless, for example, and can sometimes even add a fill right before a transition. But you can also add your own fills. To add a manual fill, you can create a super-short section, place it just where you want it, and then crank up the sliders to make it as full as you like. You can then drag that short section to wherever you want it in the timeline, to place this fill exactly where you want it. Drummer automatically makes your parts flow seamlessly together. One final tip for today. You aren’t just limited to one drummer when using Drummer in GarageBand. Just like a stadium-rock band that thinks it can spend its way out of a creative rut, you too can have two drummers onstage at once. This is handy if you want to add a bit of extra percussion to a song. Let’s try it. To add a new track, hit the plus sign underneath the Drummer icon at the left. This creates a new track. Choose Drummer as your preferred instrument, and then pick a drummer. I picked Isabela, because she’s an ace with all kinds of percussion — way better than that trust-fund hippie Finn. Two can be better than one. Then, proceed as before. Pick a base style for Isabela, and then fine tune it. I took out most of the instruments by tapping to deselect them. This gives a nice, simple extra dimension to the whole drum section. Need more cowbell? This is where you find it. You can also split Isabela’s track into multiple parts, in order to really fine-tune where her rhythmic sprinkles fall. This is also a great place to experiment with the double-time and half-time options if available (not all Drummers have them). And that’s it. We may revisit GarageBand’s Drummer again in the future, because there really is a a lot more in there. Drummer really shows Apple at its best. Anyone can pick it up and create fantastic drum tracks in a few seconds. It really is that easy. But hidden inside GarageBand, you’ll find some amazing power features that turn Drummer from a curiosity into a genuinely useful, and great-sounding, instrument. Go check it out.